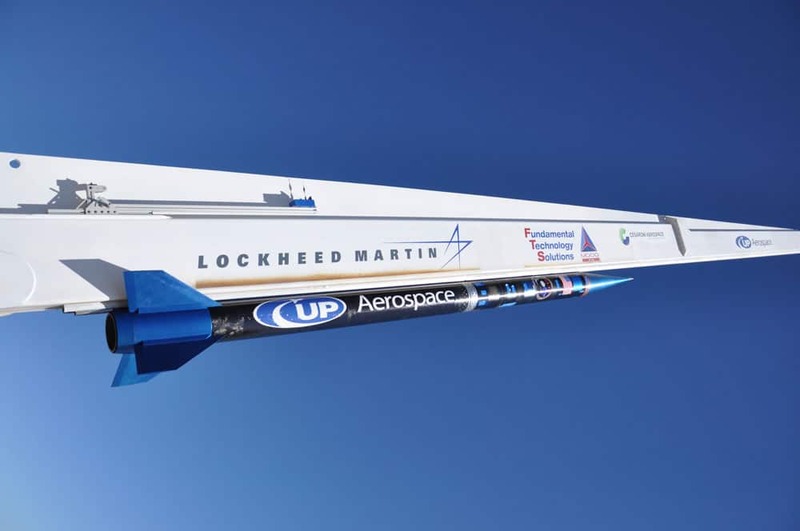 TRUTH OR CONSEQUENCES, N.M., Sept. 21, 2018 /PRNewswire-PRWeb/ — UP Aerospace demonstrated their ability to fly sub-orbital launch vehicles in rapid succession. Within 5 days of each other, UP Aerospace successfully launched two of their SpaceLoft vehicles into space. September 12, 2018 – UP Aerospace successfully launched their SpaceLoft 12 (SL-12) vehicle into space. The vehicle reached an altitude of 354,000 feet. This launch was flown for NASA’s Flight Opportunities Program. The vehicle carried two experiments from NASA Ames Research Center, as well as one payload from NASA’s Kennedy Space Center. September 17, 2018 – UP Aerospace launched their second vehicle SpaceLoft 11 (SL-11) into space. The vehicle reached an altitude of 357,800 feet. This mission was also flown for NASA’s Flight Opportunities Program. SpaceLoft 11 carried experiments from NASA Ames Research Center, NASA Armstrong Research Center, Barcelona Tech, Controlled Dynamics, Celestis, and the FAA. UP Aerospace provides sub orbital flights to provide payloads a micro gravity environment for testing experiments in space.